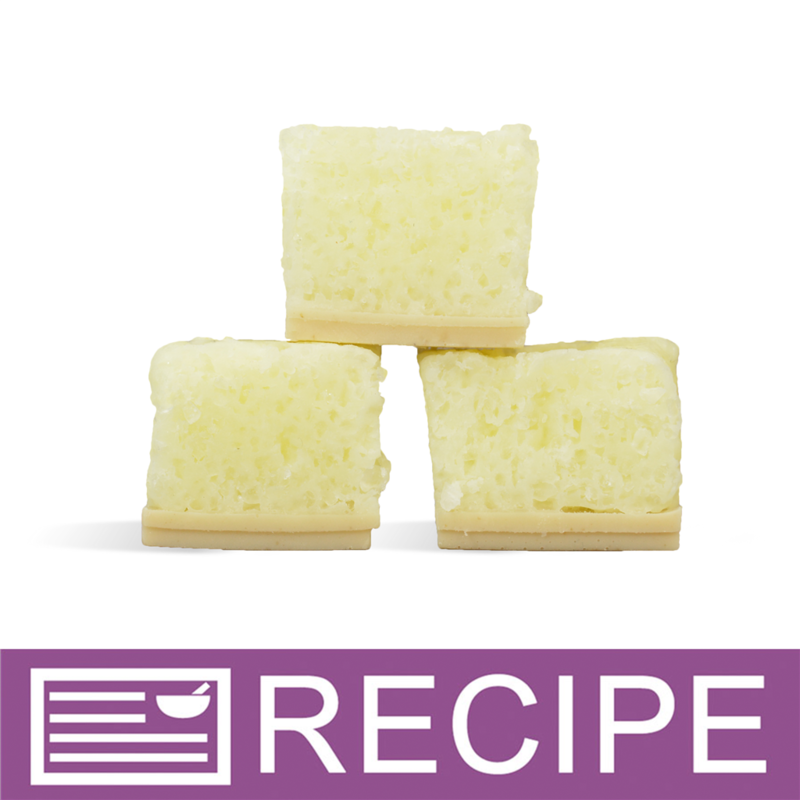 Anyone who loves lemon is sure to adore these Lemon Salt Scrub cubes! Use the sweet, salty side to exfoliate, and the soap side to cleanse. You Save $5.65 by purchasing this kit rather than buying the items separately. Sea Salt, Sorbitol, Propylene Glycol, Glycerin, Water, Sodium Laureth Sulfate, Sodium Cocoyl Isethionate, Disodium Lauryl Sulfosuccinate, Stearic Acid, Lauric Acid, Sodium Hydroxide, Palm Kernel Oil, Sodium Chloride, Shea Butter, Cocoa Butter, Mango Butter, Fragrance, Titanium Dioxide, Diazolidinyl Urea, Iodopropynyl Butylcarbamate, Yellow 5. BOTTOM: Sorbitol, Sodium Laureth Sulfate, Propylene Glycol, Stearic Acid, Myristic Acid, Water, Sodium Hydroxide, Oatmeal. "My layers aren’t adhering very well to each other. Is that typical? What can I do to bond them together a little better?" Staff Answer Be sure to use at least 91% isopropyl alcohol to spritz the oatmeal soap before pouring the lemon soap on top. Also, if salt/soap mixture is too thick, heat briefly in microwave to thin and then pour over bottom layer.